Enjoy your happy cooking time! If you love your Air Fryerr Accessories set now, imagine what culinary masterpieces you can make! 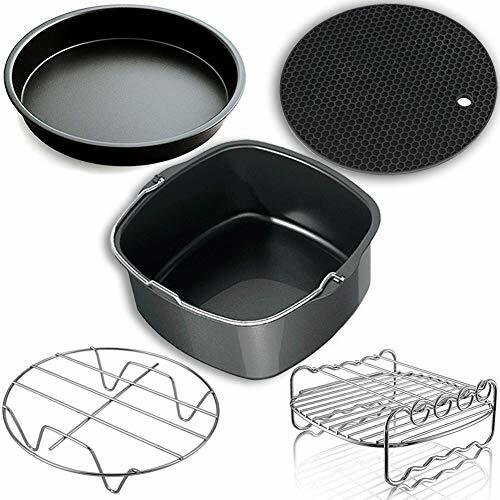 With this 5-piece air fryers accessories for your phillips air fryer , gowise air fryer and others ! top of that, protect your household surfaces with the Silicone Mat. Use it for your family to make a delicious meal, it is the happiest things in the world ! Not appropriate for children without adult supervision. Please do not touch the accessories until they have completely cooled! If you have any questions about this product by NUMARDA, contact us by completing and submitting the form below. If you are looking for a specif part number, please include it with your message.